Goa is a small coastal state on the western coast of India. This state is famous for its beautiful beaches and attracts large numbers of foreign tourists every year. Previously it was a colony of Portuguese. Therefore the Portuguese cuisine has a great influence on Goan food. So that I used some typical Goan spices like cassia bark cinnamon, star anise, black pepper in my Goan fish curry recipe. Why am I making this Goan fish curry recipe? The Goan fish curry recipe is a famous dish from “Goa” itself. Goa is the smallest state and located on the western coast of India. It has a very rich cultural history. Being on the coastal region people of Goa are fond of fish and other seafood. You will find many different fish curries with almost the same ingredients in the different region along the vast coastal area of India. But still,l the Goan fish curry is make a difference with others. The Goan history and culture are greatly influenced by the Portuguese. They ruled the place for a long time before India’s independence. Therefore the food of goa has also been influenced by the Portuguese. Now on what way the goan fish curry is different from other fish curries available on the different part of the western coast of India. What are the main Ingredients of this so wonderfully tastes Indian fish curry? Basically, the key ingredient is fish which may be any kind of white firm sea fish which is easily available in the region. But you will find the Pomfret fish among all in the traditional goan fish curries. Also, You will find coconut milk and some ordinary curry spices as a common in almost all the fish curries on the coastal region. But Goan fish curry is a bit sour in taste. This taste comes from adding tamarind. The concept came from the Portuguese as they used to use wine or vinegar or similar kind of things in the cooking. 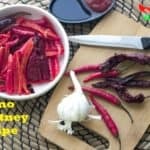 So over the years, it was replaced by adding the Tamarind in the curry which gives a hot sour taste and gives the dish a distinguishing feature. Also, Goa is famous for its unique spices. Cooking The spices in the coconut milk gives a bit sweetness which goes amazing with the tanginess of tamarind. So the dish has a mixed flavour. For the spices, I have prepared a blend of spices called “the Goan masala Powder” which can be used in another fish curry also. 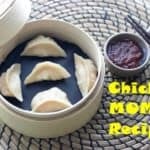 This is very easy to make and it can be a great option for lunch with steamed White rice. 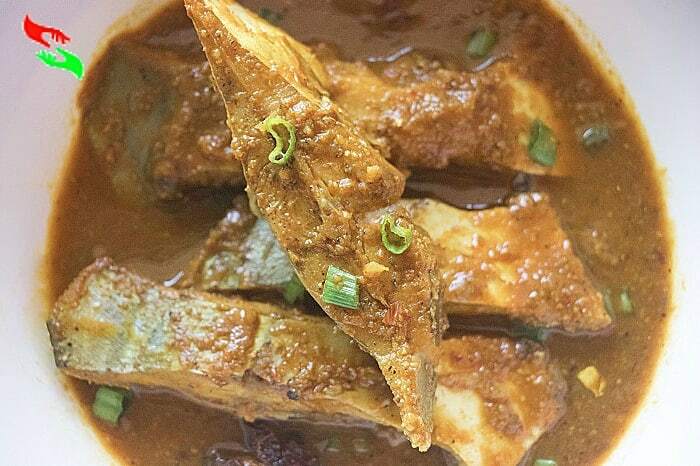 I hope you all will try my this fish curry recipe at home and share your experience by comments. 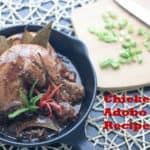 If You have any Recipe Request Or any suggestion Please let me know in the comment box. I will sure help you. 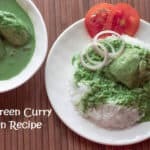 goan fish curry recipe is so tasty but simple and easy to make. I tasted in a beach shack in Goa. Try this dish at your Kitchen. Clean all the fish pieces with water very well. Now take a soup pot and make it hot in slow gas flame. When the pot is hot enough put 1 tbsp oil into the pot and make the oil hot too. Once the oil is hot put the chopped onion into the pot and fry the onions for 2 mins on a medium gas flame. just after 2 mins add ginger and garlic paste or crust to the pot. Mix well with onions and fry for another 2 mins on the low gas flame. Then after 2 mins add Goan yellow fish curry paste, Star anise to the pot, Curry leaves and add salt and sugar also to the pot. fry for again 2 mins in medium gas flame. After 2 mins add water to the pot and wait for the water to boils. Just after 5-6 mins, you will see fish is properly cooked and ready to serve. Now turn off the gas flame and put lemon juice to the pot and cover the pot with a lid for few seconds. serve this wonderful fish with hot steamed White rice only.